The 3rd Annual Public Health & Sustainable Transport Summit is the UK´s must-attend event for those in charge of improving public health through different healthy transport options. For that purpose, Public Health England and NICE will address the following issues: reducing inactivity and improving air quality. This year, the Public Health & Sustainable Transport Summit will show how local authorities, practitioners and communities are working on developing new opportunities to shape policy that supports practical interventions to boost physical activity and improve air quality. The Mayor Marvin Rees will welcome the attendees and right after, a plenary session about how to promote health in all policies will take place. In the second part of the morning, there will be four parallel sessions, which will deal with issues such as safer and friendlier roads and streets, sharpening behaviour change initiatives or activity and positive health impacts between others. After lunch, there will be another four parallel sessions and the summit will wrap up with a closing plenary, where local authorities will be given some keys to help improve emissions form transport. Once the event is over, a networking area will be available for all attendees. As part of its strategy to engage with Bristol’s citizens and help them make more efficient decisions in terms of energy use and travel, Replicate will be presenting the contributions the project has made to switch to cleaner alternatives and reduce CO2 emissions in the city, such as the deployment of e-bikes and e-vehicles . The Travelwest Journey Planner which allows people to plan their journeys using transport alternatives and the ParkUS app which suggests parking spots before travel to reduce traffic congestion and pollution will also be presented at Replicate’s stand, as well as The Bristol Approach, a process that gathers data to help citizens identify and understand the issues affecting their communities. Moreover, they will be showcasing the ladybird, an air quality sensor created by the community using the Bristol Approach. 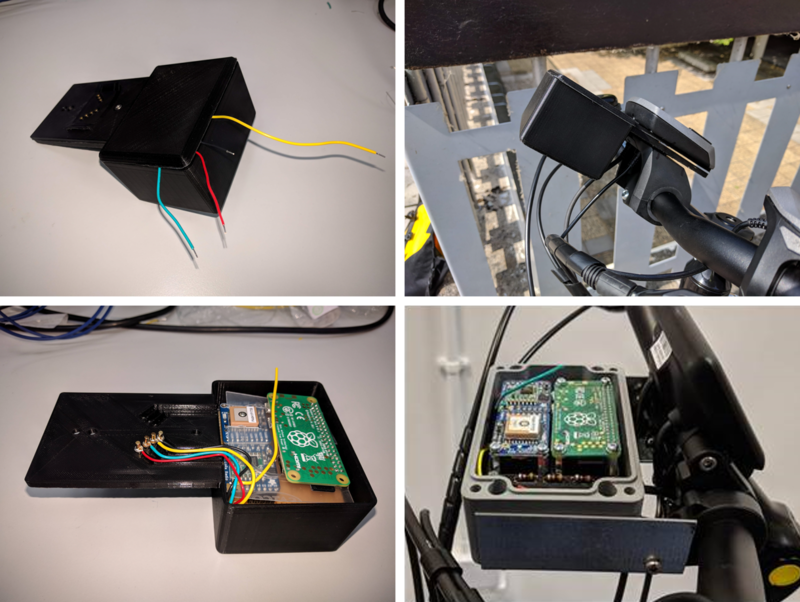 Integrated PCB and enclosure and the complete prototype attached to a bike. Air quality sensor. Find out more about Replicate’s latest technical innovations at https://www.connectingbristol.org/replicate/ or visit our stand.